Tina Moss is an author of urban fantasy, paranormal romance, romantic suspense, and New Adult novels. She lives in NYC with a supportive husband and alpha corgi, though both males hog the bed and refuse to share the covers. When not writing, she enjoys reading, watching cheesy horror flicks, traveling, and karate. As a 5'1" Shotokan black belt, she firmly believes that fierce things come in small packages. 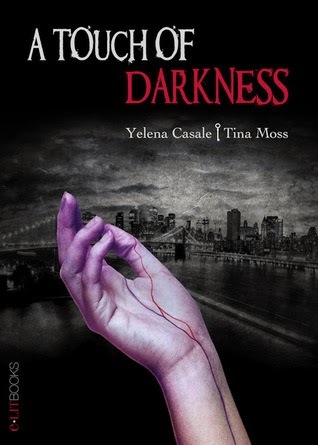 Yelena Casale writes urban fantasy and paranormal romance. She was born in Kiev, Ukraine and came to New York at the age of 13, which gave her a great perspective into two very different cultures. Yelena believes that the world of vampires, shifters, angels and demons is a wonderful way to escape and let her imagination run wild. In Yelena’s ideal world, she would be a full time writer and travel as much as possible, experience various cultures. She’s also a second degree black belt and an instructor of Shotokan karate. She is represented by Literary Counsel. looks and sounds fascinating ;) Thanks for sharing! It's intriguing & attention getting. Scary!! I will have a nightmare!! LOL!